Are there many places to eat out? Is the area good for walks and cycle rides? Could I take part in watersports? Is there a way to accommodate larger parties? is there car parking at the property? Where Do I pick Up The Key to My Property? What is the deposit to secure a property? How do I get the full address of the property? 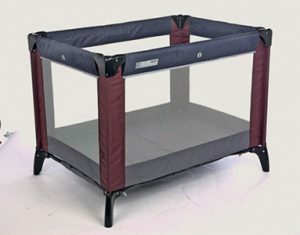 What type of cot can you provide? Are there any games at the property? Please check out our blogs area. You will find a huge number of bars and restaurants offering many different varieties of food in Broadstairs and in local area of Westwood Cross. Yes of course. We are surrounded by sea. Check our website for details on water skiing, jet skiing etc. If you decide to bring your own jet ski our houses have security locks for your trailers on the drives. You can ride and cycle for miles all along the coast going from Ramsgate to Broadstairs to Margate through to Reculver. All of our houses sleep 8, we have 1 apartment that can sleep 9 and another that can sleep 10. Most of the properties are close together so you could have more than 1. All of our houses have car parking for at least 1 car with plenty of other space in the road. You will be sent an arrival pack, in there you will see listed all contact details for either an emergency or general fault reporting. The minimum booking deposit is 25% of the full cost of the holiday. The full cost payable six weeks before arrival. When we send you any communication it will include a tracking ID (Customer Number), please try to include this number in the subject line of any email to us, this enable us to quickly identify other communication we have previously had. We charge an additional £100 deposit for large groups of people below the age of 23. This is returned at the end of the let if the property is in a satisfactory condition. Approximately 2 weeks prior to your arrival you will be sent arrival information. This will give you all the information you need to know for your holiday with us including where the key is. Yes, there is. You can check our website activities section and also in the arrivals guide there is a section dedicated to “what to do for children” even taking into account the weather. We can accept payment by electronic bank transfer. i.e. BAC or online transfer. You can also pay money over counter in any Nationwide Building Society branch. Cheques should be made payable to Mr S.Mayhew. Please write your property choice and dates on reverse of cheques sent. If BACs or cheque are used as the payment method for your deposit this money is required to arrive within 5 working days, after this time your booking in will be offered to others. We will provide a welcome email containing the full address and access code within 10 days of arrival and with your receipt of full balance. Generally it will take 5 minutes to drive to the beach from the properties. Walking will take roughly 20 minutes, depending on the property. All the houses are on major bus routes. Check the Google Maps section of each house for more specific information. The property must be vacated by 10am on day of departure to allow cleaners time to prepare for the next arrivals. Cheques can be made payable to Mr. S. Mayhew. Please write the property name, start and end dates on the back of the cheque. We provide can provide a high quality cot for an additional fee. Just select the option when making your booking. Within six weeks of your holiday date, no refund is permissible. Prior to six weeks of your letting, the deposit will be retained. No, however smoking bins are provided outside the property. We accept pets, by arrangement and £100 additional deposit returned at end of let by BACS. (please provide your account number and sort code). We cannot accept overnight visitors in excess of the number stated for the property, with the possible exception of infants in carry cots. As a rule, if driving from anywhere except the South West (Devon, Cornwall) of the Country head towards London and then Canterbury/Dover. Following this pick up signs for Ramsgate, Margate or Broadstairs. If driving from the South West, head towards Dover then pick up signs for Ramsgate, Margate or Broadstairs. From Eurotunnel terminal in Folkestone it is approximately a 1 hour drive to Thanet on the A20 and A256. Running from London Victoria to Thanet these take approximately 3 hour 20 minutes. The Eurostar terminal connection with trains that go to Thanet, with journey times of 20 to 30 minutes. The Eurostar international service runs to Ashford and London from Brussels, Lille and Paris. By bus: Stagecoach and Eastonways run local bus services in the area. Check their website for bus times and stops. All four London airports, Gatwick, Heathrow, Luton and City are all within 2 hours and 30 minutes drive of Thanet. Note: Visitors arriving at any of London´s airports, who wish to travel by public transport to the area, must first travel to central London and change to a connecting coach or train service with the exception on Gatwick where a change can be made by rail in Tonbridge. We provide some games at each of our properties including playing cards, draughts and dominoes. Please download our games manual for a list of games and instructions at each of our properties. We cannot accept responsibility or pay compensation where the performance or prompt performance on our contract with you is prevented or affected by any reason of circumstances, which amount to Force Majeure. Circumstances amounting to Force Majeure include any event which, we could not, even with all due care, foresee or avoid. Please review the fire risk assessment for your property prior to arrival.